A friend of mine gave me the most fantastic parenting advice - Do as I say, not as I do. Little L refused pointblank to eat the school lunch. I decided to join her for school lunch one day to encourage her. While I was berating her for not eating (do as I say), all the kids turned to look at my tray, still chock-full of food (not as I do). I could barely choke down another mouthful of the ghastly fishcake. I struggled to find a sliver of fish in the "fishcake". The peas resembled the color of my face when I suffered from food poisoning after a wonderful meal of lamb curry on the streets on Kuala Lumpur. You know the famous Jamie Oliver school food revolution? He wasn't lying. 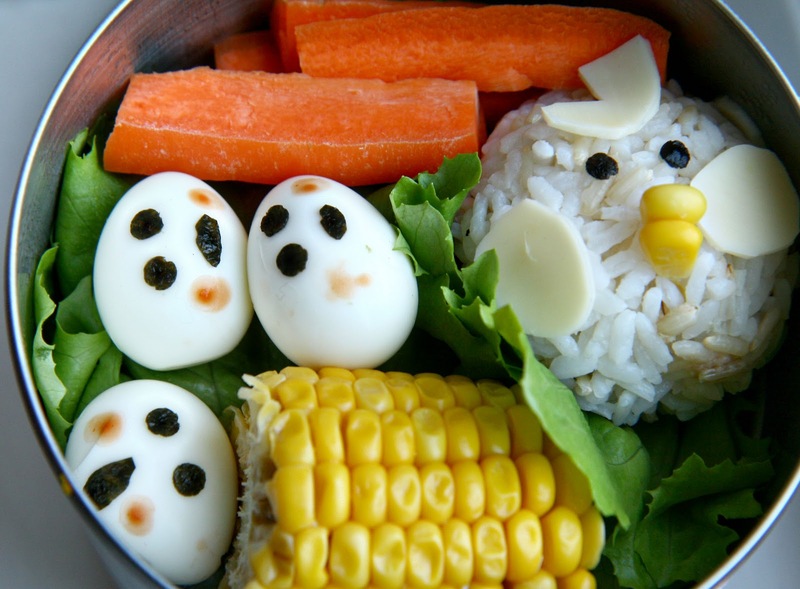 So...it was back to moi making her school lunches again. I got a few great ideas from this book. I was bored to death making the same thing day in day out. I can't do craft work nor draw to save my life but Little L seems to think my clumsily arranged Bento is the best thing since sliced bread. My first attempt. Hmmm....not the best but you get the idea. Second attempt....the quail eggs look a little frightening but at least Little L inhaled these in a nanosecond. As for the chick rice ball, I substituted ham with cheese. Despite looking a little glassy eyed when my sister in law was giving me tons of tips about the Korean cuisine, a bit of information did trickle in albeit slowly. 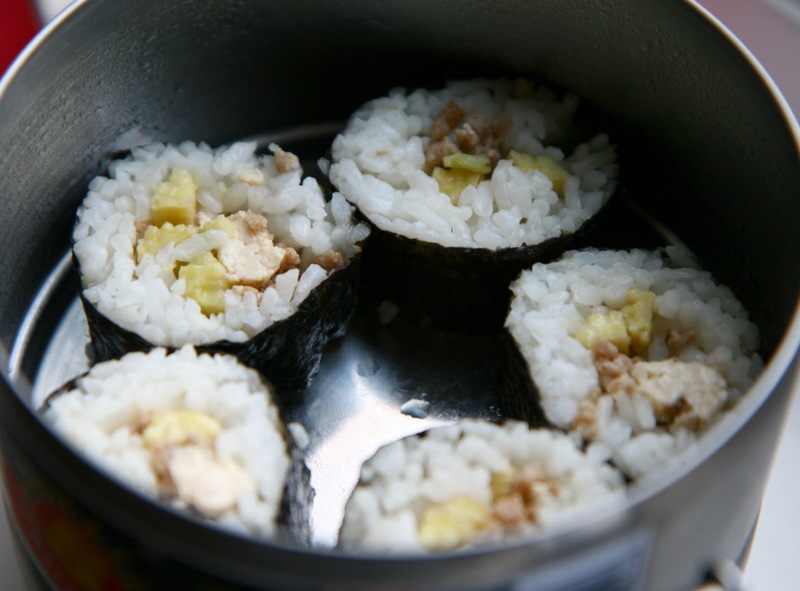 The Korean sushi is slightly different to the Japanese. They make use of leftovers and add that into the sushi. 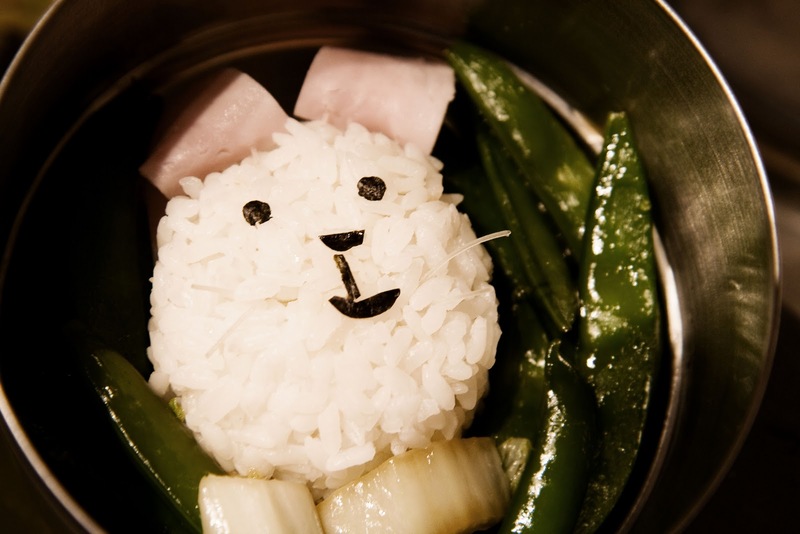 There's no need to season the rice either as the flavor comes from the cooked vegetables. This brings back childhood memories. 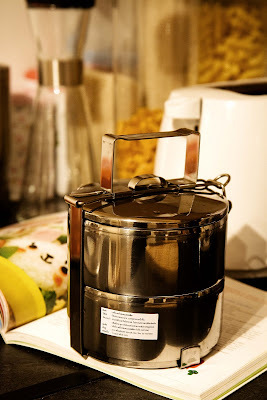 I saw a similar tiffin carrier at my cousin's place in Miri and just had to get one as well. This is a child sized tiffin carrier. Since it's made of stainless steel, I no longer have to worry about chemicals leaking into piping hot food. 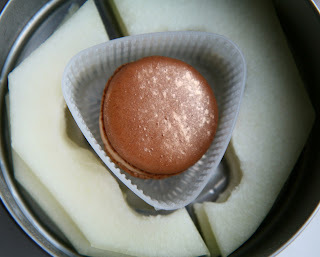 I can't resist Pierre Herme's macarons. One managed to make it into Litte L's lunch box. Lucky girl! Lois, I'm running out of ideas to make her lunch interesting..... Since Little A has a foodie mom, I bet she's going to be just as discerning with you when she's ready for her solids. Thank you, q9y8. The things we do to get our kids to eat! I'm hungry now LOL! 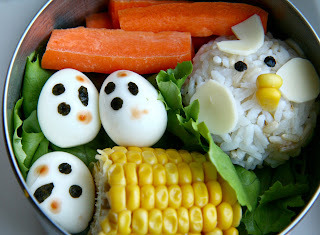 I want your Bento lunches too! LOL, DA! I'm getting a little faster assembling the bento together but sadly, we're fresh out of Pierre Herme's macarons.